All businesses work hard to build their brands; often startups work tirelessly just to get noticed when they are starting out. Despite all of the measures that businesses take in order to protect their company’s name, mistakes do happen. And, in the digital age and social media revolution, a simple tweet or Facebook update could be detrimental to the company’s image. Public Relation nightmares come in varying degrees. For example, in February 2016, McDonald’s faced a lawsuit over their “deceptive” mozzarella sticks that lacked cheese, and this was extremely damaging to their brand. On the other hand, some companies experience small controversies whenever their employees say something damning on social media, which usually leads to said employees’ termination. 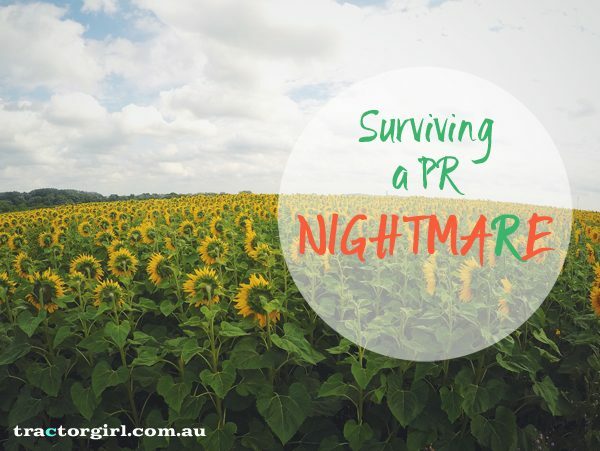 Regardless of the degree of a PR nightmare, here are some things that you may want to keep in mind in case your business, no matter how small it is, faces adversity in the future. This may seem like something rather trivial but this is quite possibly the most important piece of advice documented in this list. When you see something unfolding before your eyes, compose yourself. Don’t respond immediately – think about how you need to provide constructive feedback. For instance, if it is a review from a journalist or another industry expert, take the criticism on board and thank them for their feedback while looking to resolve the issue professionally. Responding quickly will help to minimize the damage. A day without responding is too long, and people, specifically consumers and the industry on a whole, want to hear your side to the story. By not replying quickly, you might as well as admit liability. After all, if you’re not at fault, and you haven’t done anything wrong, why would it take so long to respond? In short, you should prioritize matters such as these. You can use social media to respond to customer feedback. Most companies use Twitter in order to provide quick responses to issues. Oil and gas construction firm Unaoil, for example, used Twitter to respond to the biggest scandal that the firm has faced since its inception. They even left the tweet a pinned tweet at the top of their wall so people could see it. Using social media to respond to controversy is a good way to get the message across to the world from your company’s point of view. Bad PR doesn’t stick around forever especially if you try and counter it with something positive. Try doing something for the community or supporting causes that benefit the world. Remember the Coca Cola ad that was under fire last year because many saw it as “white people handing out soda to poor Mexicans?” Coca Cola didn’t intend for the ad to be interpreted, so they needed to act quickly to turn a negative into a positive. So, they launched a positive campaign about wellness titled ‘Coming Together’. It’s important to make sure that you always take into consideration the feedback you receive from your consumer base as it could affect future business. Your target audience is your business’ lifeline, so make sure to always keep them happy and reply in a polite manner, and use the feedback to improve the way you do business. Disclaimer : tractorgirl collaborated with Matthew Quinn to bring you this post. But rest assured I only ever share things I genuinely believe in, and that I think will be useful for you!